Reproduction of an universal astrolabe realized in accordance to Juan de Rojas y Sarmiento in the 16th century. The Spanish astronomer and mathematician Juan de Rojas y Sarmiento presented to the European public the Orthographic Projection (1550). 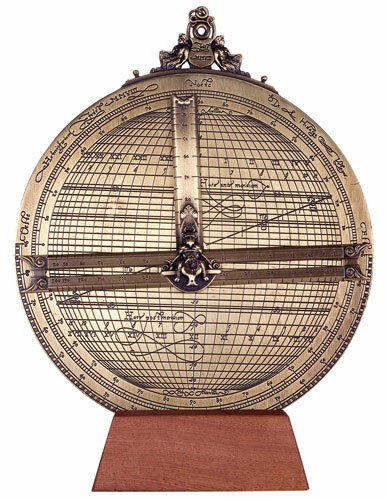 This projection was successfully applied in this universal astrolabe that offered remarkable advantages over its predecessors because it could be used in any latitude. 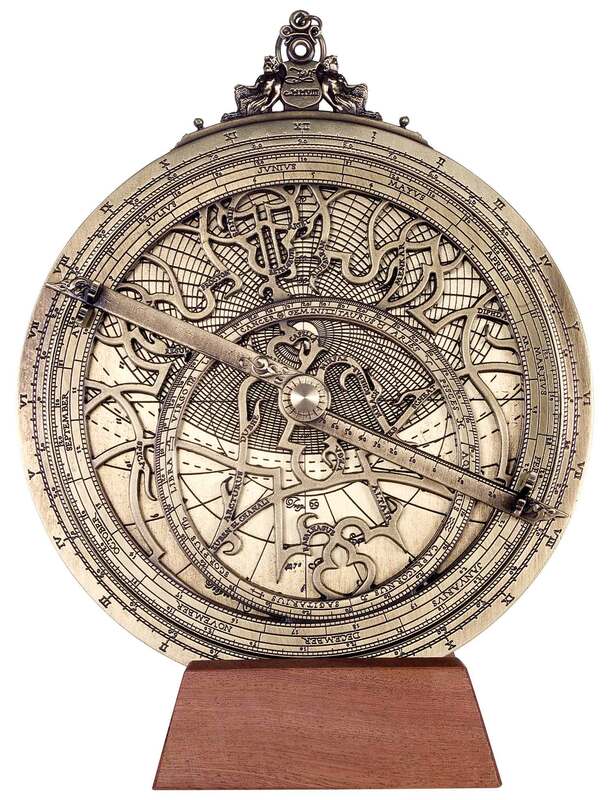 This universal astrolabe is fully functional. Nice item and made in precision sufficient for learning and making observations.